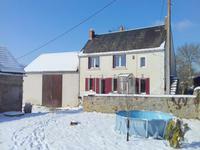 Situated in the lovely Creuse, this property is bathed in light and offers the opportunity to . . . This charming house is immediately habitable but needs to be refreshed. Next to the house is . . . The magnificent and historic, Chateau de Sainte Feyre. 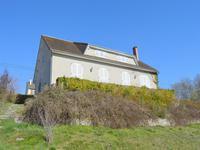 An important property overlooking the heart of the Creuse.. The imposing, classical Chateau de Sainte Feyre was rebuilt between 1758 and 1762 on the . . .
A perfect, three bedroom stone farmhouse in a peaceful hamlet, with manageable garden, business potential and less than an hour from Limoges. This lovely home has a large Kitchen/diner, a spacious lounge with wood burner, family . . . This authentic house needs to be renovated inside. The advantage is that you can create . . . Beautifully presented, large 4 bed house with breathtaking views, in beautiful, historical village, overlooking the river. With a superb view, located on the edge of a village with most amenities, including shops, . 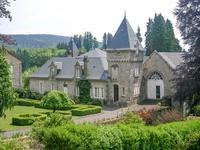 . .
With easy access into the town of Guéret with all amenities, shops, hospitals, museum, . . . Located on the footprint of the medeival chateau which gives the village its name, facing . . . 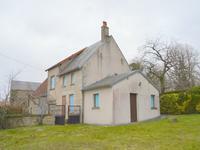 This attractive spacious house has 4 bedrooms, a spacious living room with access to a . . .
Allo Allo Bar/Brasserie is a successful up and running business with a CAT 1V licence, included in this are B&B apartments and an up and running Gite. Interesting turn key property, not only is there a successful bar/brasserie there are . 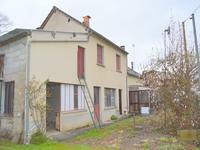 . .
Only 5 kms from the village of Bonnat, with shops, doctors and schools, this large renovated . . . 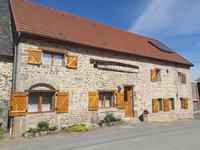 Situated not far from the centre of the medieval town of La Souterraine.This is a great . . .
A magnificent fully furnished six bedroom, six bathroom manor house with income potential and suitable for horses and less than an hour from Limoges.. This stunning family home has been renovated to the highest standards. With six bedrooms, six . . .
Near Auzances. Large barn conversion in need of completion. Garden with countryside views. Outbuildings including a derelict house. Located in a village with beautiful views across the countryside, this barn conversion is in . . . Fantastic business potential ! Large town centre property, large garden, Creuse, Limousin. This Beautiful early 19th century town house had commercial beginnings and still retains a . . .
Set to the rear of the hamlet with only 2 other neighbours, this is a great property to be . . .
Lovely, detached, rural house, in need of refreshing, offered at a very reasonable price. Beautiful views and location. This large hamlet property, within a very beautiful location, has lots to offer. It is at . 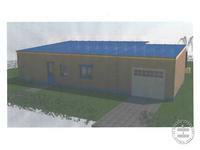 . .
A rare opportunity to purchase a brand new, affordable eco house right in the heart of the . . . This delightful house has good size bedrooms and a spacious living room making it an ideal . . . This impressive home was built in the mid 1800s and is full of character. There are two . 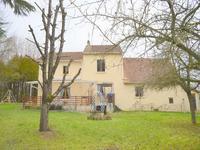 . .
Large 5 bedroom, renovated country home, in a quiet hamlet with large lounge and an enclosed garden. 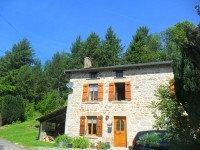 Situated in a small hamlet, between the villages of Moutier Malcard and Bonnat with it's . . .
Charming three bedroom house of approximately 120m2 located close to Chambon sur Voueize with various outbuildings attached barn and two workshops. Situated in a small hamlet on a good size plot with beautiful views over open countryside . . .
Lovely three bedroom house in a stunning elevated position with beautiful views. Short 2km drive to a village with amenities. 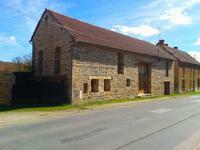 Nearest market town is La Souterraine, 10kms, . . . This beautiful house with 4 bedrooms and 4 bathrooms is on the edge of the cozy market town . . . Situated along a private lane, not overlooked, on the edge of a very pretty hamlet, in the . . . Magnificent setting, private with no immediate neighbours. Renovated stone house, 3/4 acre of land and open views to 3 sides. Located only 4kms or 5 minutes drive from the pretty, historic village of Ajain, with a . . . Very nicely presented two bedroom renovated house on the edge of a village within walking distance of amenities. Renovated to a good standard in the last few years by artisans, all major works certified. This pretty Farmette has been lovingly renovated to make the most of the period features of . . .
DETACHED 1970's THREE BEDROOM HOUSE, LARGE GARDEN, BARN AND STUNNING VIEWS. Situated on the outskirts of a small village, and a short drive to the nearest small town . . .
Beautiful three bedroom house with wonderful mature garden and woodland situated in an elevated position overlooking open countryside. Situated in a small hamlet close to Mainsat with its local amenities including grocery store, . . . This charming natural stone 2 bedroom house with outbuilding and large garden (total 1472 m2) . . .
A stone house to completely renovate situated in a quiet hamlet 4kms from a village with amenities. In a hamlet with other residents, this is a complete renovation project for anyone looking . . . This renovated stone village house with 4 bedrooms has a small plot of land with its own . . . 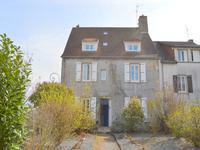 Situated between the towns of Auzances and historic Aubusson is this lovely and good sized . . .
Immaculate, large 2/3 bed house and one bed house in beautiful countryside, with views. 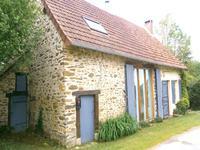 A stunning, perfectly renovated hamlet property with an up and running, repeat business Gite, . . . Fantastic opportunity ! 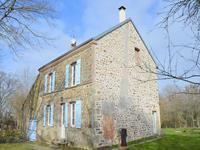 Idyllic Stone house, close to medieval market town,3 bed and potential to extend, Limousin. This tastefully restored, south facing house is on the edge of a lovely quiet hamlet with . . .
An iydillic setting for this beautifully renovated stone riverfront property with six bedrooms. Large garden and direct access onto the river. Situated down a quiet lane on the edge of a village with amenities within walking distance. . . . Situated in a hamlet 3 kms from a village with amenities including restaurant and bar. The . . .